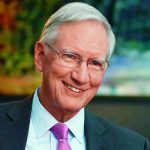 Today’s interview is with Tom Peters, author of numerous business books (18 in total) and speaker. He is, perhaps, best known for his 1982 seminal book: In Search of Excellence (co-authored with Robert H. Waterman Jr). However, today he joins me to talk about his latest book: The Excellence Dividend: Meeting the Tech Tide with Work That Wows and Jobs That Last, what companies should be focusing on in the face of rapidly evolving technology, why striving for excellence is more important than ever, what that means and how we can put excellence at the heart of everything we do. This interview follows on from my recent interview – Engagement, why do we do what we do and why does it matter to our customers – Interview with Scott Gould – and is number 259 in the series of interviews with authors and business leaders that are doing great things, providing valuable insights, helping businesses innovate and delivering great service and experience to both their customers and their employees. Tom joins me to talk about his latest book: The Excellence Dividend: Meeting the Tech Tide with Work That Wows and Jobs That Last. 1980 HBR article referenced by Tom: Managing Our Way to Economic Decline by Bob Hayes and Bill Abernathy. If you want to make a good quality product you have to care about the people who make the product. If you want to stay on top of things you have to try a lot of things fast. When people summarise Tom’s work they often say “Put People First”. This is become increasingly important in the age of artificial intelligence where anything that’s routine or rote is going to be done by software. In 1982, excellence was something that really made a difference. However, today excellence is the only thing that is going to save your job or save your company. Metro Bank in the UK typifies this approach. They are focused on going against the grain and creating a fabulous branch experience, one that is exciting, bright red and full of insanely well-trained people who are desperate to help. Commerce Bank in the US (Metro’s predecessor) and Metro Bank in the UK have created seventeen thousand good new jobs. XFX is cross functional excellence. The simple fact (backed by research and experience) is that most things fail or take four times longer than they should because the finance people don’t talk to the logistics people who don’t talk to the human resources people who don’t talk to the purchasing people and it’s all those interfaces between the functional specialties that slow things down. 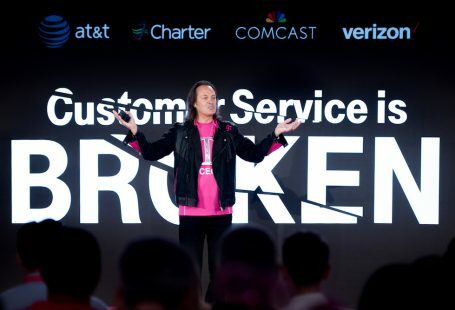 I’m not talking about fixing problems I’m talking about turning communication into the number one value added differentiator of the enterprise. When people talk about tearing down functional barriers more often than not they start talking about software. However, whilst these tools can be great, communication between finance and purchasing, say, is about people and it’s about relationships. What is the number one tool for destroying barriers? Answer: lunch. On average we have something like 240 working days a year and that translates into 240 opportunities to meet new people or develop new relationships. Things are changing incredibly fast and speed is everything. However, speed is also a snare and a delusion. Success at anything is based on relationships, human relationships and relationships take time. The best way I would argue to speed things up is to slow things down on the relationship side. SERVICE is a beautiful word. SERVICE is not “raving fans”. SERVICE is not “a great experience”. To some extent the basic idea behind this is stolen from Robert Greenleaf who wrote Servant Leadership, a wonderful book that didn’t get the attention it should have except by some fanatics. We are still in thrall to total shareholder value but there’s some cracks in the edifice right now. 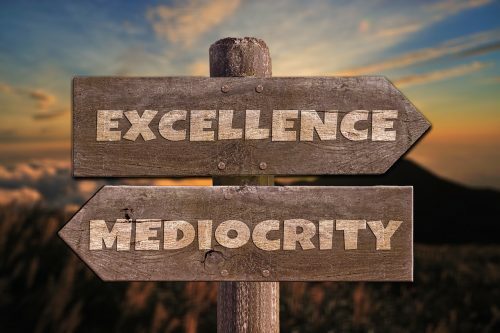 Harvard Business Review ran a piece a few months ago by famous professor Joseph Bower (he was one of the original shareholder value gurus), who said enough is enough: The Error at the Heart of Corporate Leadership. The Shareholder Value Myth by American law professor Lynn Stout. Jack Welch has even come out and said in a Financial Times piece a few years ago “I’ve never come across a more stupid idea than shareholder value.” That’s a huge transformation from a previous position where he was a great advocate of the pursuit of shareholder value. Most of the business gurus spend most of their time on the Fortune 500 and the FTSE 100 and the reality is that 80 percent of Brits and 80 percent of Americans work for so-called SMEs (small and medium sized enterprises). They are the real job creation tool. The One Million Campaign: Imagine if 500,000 small businesses could up their game and do a little bit better service and the like. And, each of those five hundred thousand businesses could add two people. There you have it 1,000,000 new and good jobs. Lou Gerstner realised this during his time at IBM. However, we need to win the culture argument again and again every day within an organization. I don’t like the word defense, I like the word offense. I think the best way to grow a business is to develop a culture of care, a culture of human development, a culture of customer service. That does not mean the business should not have the latest in technology but the technology should be primarily assisting people to provide better service. Small Giants by Bo Burlingham. A very central part of what shaped In Search of Excellence was a single visit to Hewlett-Packard where we learned about the HP Way, that included this thing called M B W A or managing by wandering around. It’s a great idea and a great metaphor for being in touch. Pat Carrigan was a General Motors automobile plant manager and the first woman to be a General Motors automobile plant manager. Her magic was managing by wandering around writ large. They learned about this first-hand when they went to visit Pat and met the United Auto Workers union boss, who told them that he knew that Pat was different in about two seconds of meeting her. The day she started the union guy heard a knock at his door and there was Pat Carrigan, who said she’d like to talk. He said that he had been at that plant for something like 20 years and he had never had a plant manager call on him in his office. He’d always been summoned to the “throne room”. Pat arrived at his door and they proceeded to have a chat, like old friends. She cared about the frontline people and, in return, they worked hard for her. In operating that way it is estimated that she saved a couple of thousand jobs. Her service was so great that the state legislature in Michigan passed a document thanking Pat for her service to the state of Michigan when she retired. Hostmanship: The Art of Making People Feel Welcome by Jan Gunnarsson and Olle Blohm. Gunnarsson and Blohm, a couple of management gurus, decided to put their money where their mouth is and they bought a hotel. Central to their approach was the idea of doing a “consideration renovation”. Normally when somebody buys a new hotel they upgrade the linens or paintwork or whatever. Well, these guys said ‘No, that comes second’. The first thing they did was upgrade the facilities and services that they gave to their employees. 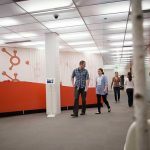 Their entire goal is to create an environment where employees are engaged and they care for their customers. The best way to do that is look after your employees. Excellence is not a hill to climb. Excellence is not an aspiration. Excellence is the next e-mail. Check out Tom’s book: The Excellence Dividend: Meeting the Tech Tide with Work That Wows and Jobs That Last. Born in Baltimore in 1942 “with a lacrosse stick in one hand and oars over my shoulder,” Peters resided in California, mainly Silicon Valley [where he was on a list of “100 most powerful people in Silicon Valley”], from 1965–2000. Tom is a civil engineering graduate of Cornell [B.C.E., M.C.E. ], where he was included in the book The 100 Most Notable Cornellians, and he earned an MBA and a Ph.D. in business at Stanford; he holds honorary doctorates from institutions that range from the University of San Francisco to the State University of Management in Moscow and has been honored by dozens of associations [and dozens of Web polls] in content areas such as management, leadership, quality, human resources, customer service, innovation, marketing, and design. In the U.S. Navy from 1966–1970, he made two deployments to Vietnam [as a combat engineer in the fabled Navy Seabees] and “survived a tour in the Pentagon.” He was a White House/OMB drug-abuse advisor in 1973–1974, and then he worked at McKinsey & Co. from 1974–1981, becoming a partner in 1979; he also co-founded McKinsey’s now gargantuan Organization Effectiveness practice. In 1981, Tom founded Skunkworks Inc. and The Tom Peters Company. Effectively, all of Tom’s written and speech material covering the last 15+ year is available—free to download—at tompeters.com and excellencenow.com. You can read a long bio of Tom here. Grab a copy of Tom’s book: The Excellence Dividend: Meeting the Tech Tide with Work That Wows and Jobs That Last, you will not be disappointed. Tom is an avid user of Twitter so do say Hi to him there @tom_peters and connect with him on Linkedin here.